Aqueduct L and G controls localized dry spots. Keeps water where you want it and reduces water consumption. Improves Water Penetration. Beautiful grass, flowers and shrubs -- Use less water; up to 50% less. 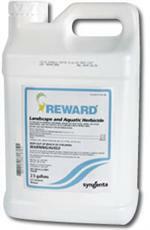 Make fertilizers work better, Reduce run-off of water, fertilizer and other products. Easy to apply, safe for plants, animals and kids. University tested. 32oz bottle treats Up To 5,000 square feet. Would you like to see the Aqueduct L and G Label? How about the Aqueduct L and G MSDS sheet?